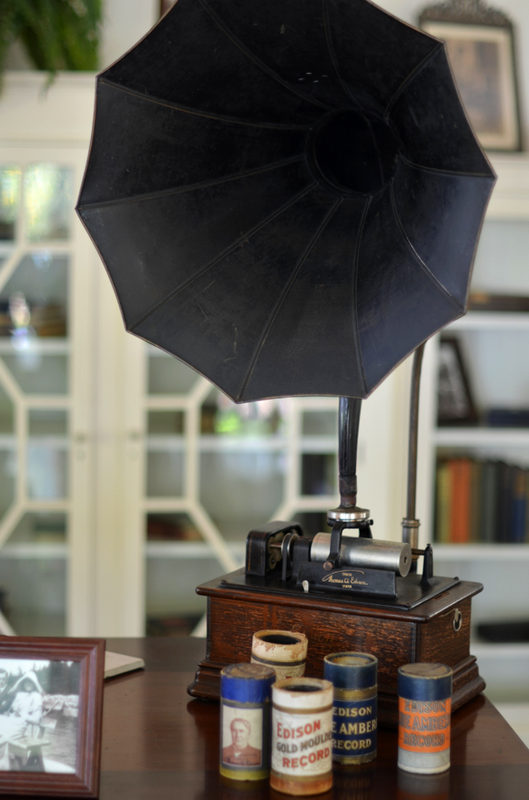 One of my favorite stops while we were down in Florida was the Edison & Ford Estate in Ft.Myers. They started building it in 1885 and seem to constantly be adding on to it, but most the houses were in a really fun Arts & Crafts style and had beautiful huge porches and really fun little balconies and breezeways on the second floors. There's also a lot of outbuildings and great places to walk along the water, and all of these huge trees all over the property. 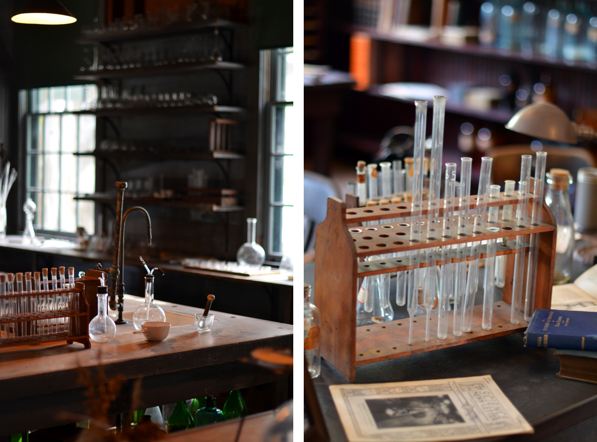 One of our favorite parts was the laboratory (pictured above). It was so interesting. 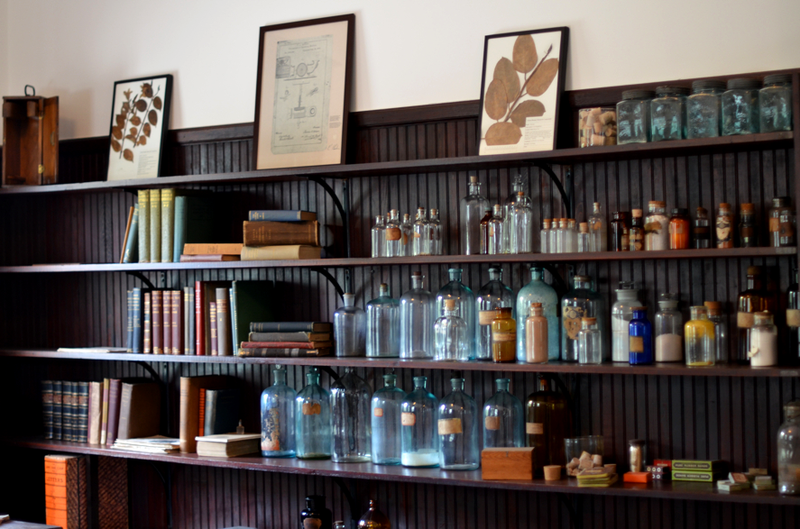 I love all the old bottles and test tubes and tools and such. The whole feel of it was great. It's totally inspired me and I want to get all sorts of botanical prints and fun bottles and industrial furniture! These are acutally a large portion of my pictures from our trip. I was all ready to take tons of pictures of all the museums and house tours we did in Key West but I had backed up these pictures on my laptop the night before and forgot to put my memory card back in my camera that day- so sad! I do have a ton of pictures on my phone though, so I might consider sharing some of them since the Hemingway house in Key West was really interesting too!